This Christmas, you’re invited to this ‘Moonlit in Marrakech’ spectacular at a top venue in Birmingham, where you’ll discover all the magic and intrigue of this mysterious Moroccan city. Explore this incredible Arabian oasis and revel in the myths, where centuries of Bedouin tribes and silk traders have exchanged secrets in the market place. Let your senses be overwhelmed and ignited with the scented oil lamps, vibrant fabrics, silver pieces and the enchanting music. Arabian acrobats will lead the way across a wooden bridge amongst tranquil fountains and ornate bronze statues to the bustling city of Marrakech and its famous, exotic bazaar. 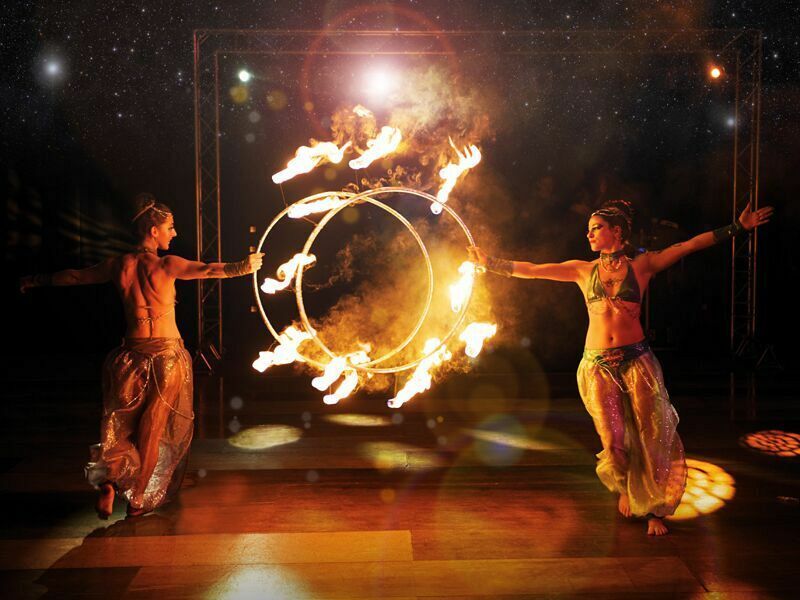 Let the mystery of the evening take you away with exotic fire dancers and aerial silk performers. Relax in the Kasbah with a cold Casablanca and dine on the delicious hot and cold canapés served by the fantastic hospitality team. It won’t be long until you’re seated for an exquisite three-course dinner that will be sure to wow your taste buds like never before. Expertly created by a fantastic team of talented chefs, you’ll be able to enjoy full and rich flavours with every bite. A delicious cheese buffet will be available after you've enjoyed your three-course feast. The amazing fire finale will blow you away and have you talking about the night for months after. And that’s not all, why not try your luck on the charity casino? Of course, there’s also an incredible state-of-the-art disco included, and a professional photographer as well as a survivors’ breakfast for those who make it into the early hours! For an unforgettable event, book your places for this Christmas spectacular today!